MVE faced a challenge. They needed to verify their capabilities to a customer, and they turned to PartWorks for help. MVE manufactures cold storage equipment for the biomedical industry. One of their customers wanted to be able to mount an automation system to one of MVE’s freezers. The catch was the systems needed to be able to be mounted in the field, long after the initial sale. This would require precise placement of the mounting hardware—something that MVE wasn’t sure they could do. “It was not simple,” said Kip Brewer, quality manager for MVE. “The freezers are large—four feet in diameter. 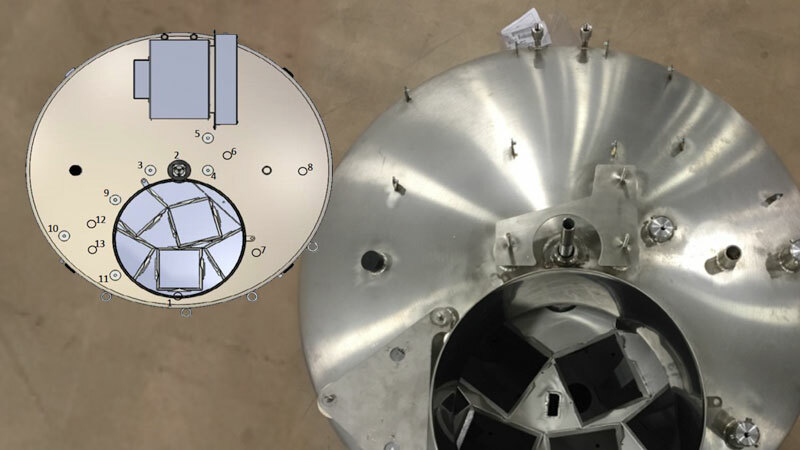 We didn’t have the coordinate measuring (CMM) or 3D Laser scanning equipment to measure what our customer needed.” MVE didn’t know if they could accommodate their customers’ needs. Quickly, PartWorks was able to come to MVE’s facility to take the measurements. Using their 3D laser scanner, accurate to 0.001 inches, they scanned the assembled tanks to measure the mounting points and ensure they were within the customer’s tolerances. PartWorks then provided a detailed report MVE could provide to their customer. This 3D laser scanning capability allowed MVE to verify their products would meet their customer’s needs. Through its First Article Inspection service, PartWorks also solved another problem for MVE. One of their suppliers was providing parts that did not meet specifications. PartWorks alerted MVE to the discrepancy so they could make adjustments. As a result of PartWorks’ help, MVE was able to secure a long-term relationship with a new customer. “Without them there isn’t any way we would have been able to move forward,” Brewer said. 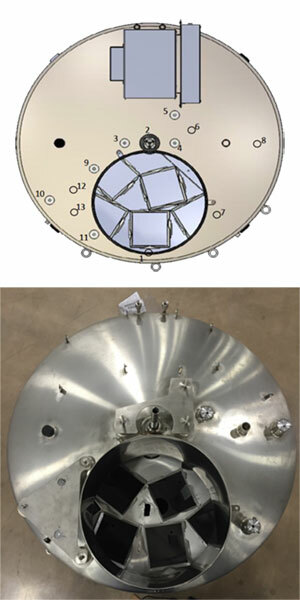 MVE is the world’s leading manufacturer of vacuum insulated products and cryogenic freezer systems. More than 50 years ago, MVE set the standard for storage of biological materials at low temperatures and continue to exceed these standards with our cryogenic freezers and aluminum storage dewars. Industries from around the world look to MVE for excellence and innovation in cryogenic freezers and dewars. Applications for these products include medical laboratories, biotech/pharmaceutical companies, research facilities, blood and tissue banks, veterinary laboratories, repositories, and artificial insemination operations. Learn more at www.chartbiomed.com. PartWorks, LLC is a one-stop digital manufacturing service, from design through production of low volume metal plastic and wood parts and tooling. Whether starting from scratch or reverse engineering an existing product, our Industrial Concierge™ service integrates 3D scanning, CMM, First Article inspection (FAI), 3D modeling & design, reverse engineering, prototyping and manufacturing. As a division of 30-year old Phoenix Stamping Group, we have the knowledge and experience to help you scan, design, redesign and produce virtually any tool, fixture or part. Learn more at www.partworks.com.